Great Barrier Reef holidays are a once-in-a-lifetime, bucket list experience for many overseas tourists. In fact, this magical part of the world is popular for romantic escapes with both local and international tourists. There's something truly special about the beauty and ecological uniqueness of this World Heritage listed Wonder of the World, and many people have chosen to incorporate it into special moments and milestones in their lives. Such is the case for British tourists Rachael Hobson and Paul Woodcock. 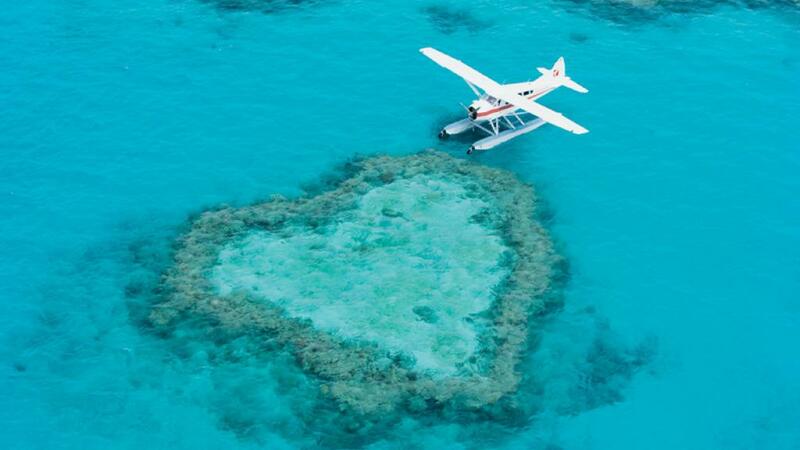 Romance was waiting under the sea on the Great Barrier Reef for a very lucky Ms Hobson. Mr Woodcock had been planning for six months to propose to his midwife girlfriend on their special trip to Australia. Deciding that during their visit to Cairns on the spectacular Great Barrier Reef would be the most magical spot to pop the question, Mr Woodcock planned a day on one of the famous Great Barrier Reef cruises. Asking his bride-to-be to film him as he dived down into the water, Woodcock has prepared some plastic signs to ask the question on his behalf as the couple sank into the stunning depths of the reef. Taking one big deep breath, Woodcock swan down and revealed his signs which read 'will you marry me?' One by one he showed Ms Hobson each sign, before quickly snorkelling his way back up to her to stop her choking from shock. Mr Woodcock was even prepared with a fake ring which, in a further surprise to Ms Hobson, he pretended to drop. Although she had still not quite recovered, Ms Hobson made an attempt to dive down for the ring but Woodcock stopped her, revealing it was a fake and receiving a very happy yes answer to his big question. A loft converter from England, Woodcock and Hobson are set to marry in Yorkshire before moving to a houseboat in the Bahamas where they plan to start a family.